We are truly humbled by all the support we receive from churches across the UK. Could you dedicate a Sunday service to toilet poverty, or put on a toilet-themed event, or create a Toilet Twinning display at the back of your church? For a donation of £60, you can twin one of your church toilets with a household latrine ina country of your choosing. Take a look at the options in the drop-down menu of the twinning section. For a donation of £240, you can twin your church toilets with a school toilet block or a church toilet block – here. Harvest is an ideal time of year for a service about God’s blessings. World Toilet Day is on 19 November. You could choose the Sunday before (17 November) or the Sunday after (24 November) for a special focus on Toilet Twinning, and God’s abundant blessings. Sita lives in Ivory Coast. 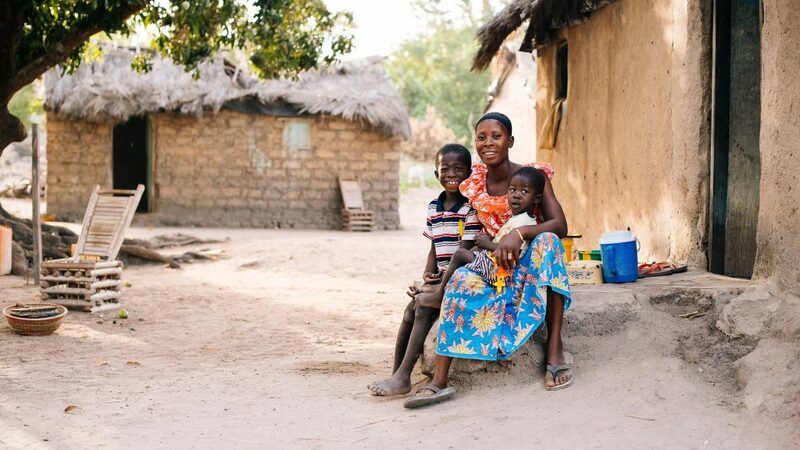 In her village, no-one had toilets until a few years ago: the smell was terrible, and disease spread rapidly. Sita’s children were constantly sick – but Sita couldn’t afford to buy medicines, and her debts with the health centre mounted up. ‘We felt hopeless; trapped. We didn’t want to live anymore,’ she says. Toilet Twinning’s partner MAP started teaching families about hygiene and sanitation, and showed them how and where to build toilets. 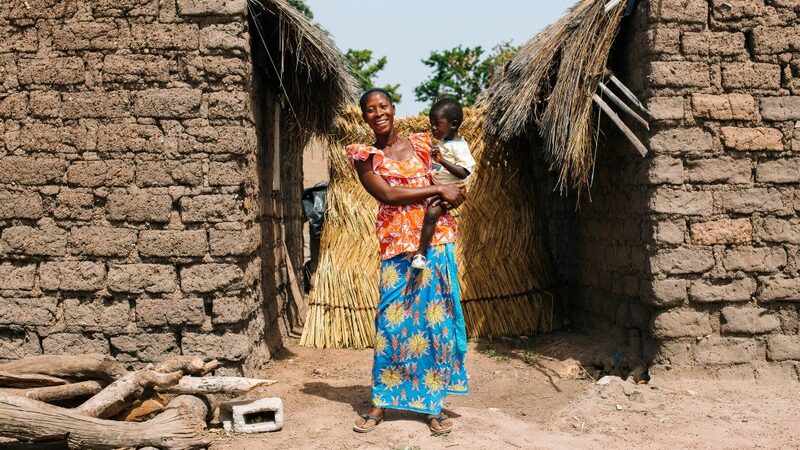 Now Sita has a toilet at her home, her family are healthy and debt free – and the children are going to school. This PowerPoint gives you a great starting point for a church talk. 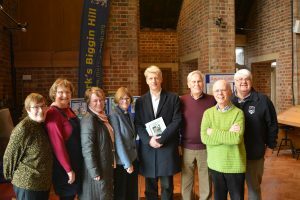 St Mark’s Biggin Hill raised more than £1,800 by flying the twinning flag across their community, including talks with their local MP. 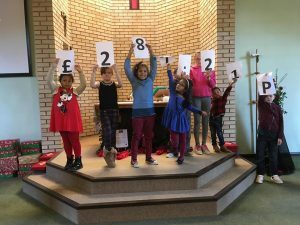 Young people aged 4-11 led the way in St Gabriel’s fundraising drive with toilet roll money boxes, toilet-themed cakes, and a Blue for the Loo day in church.